Music, artists, food and frontier fun! If you are interested in submitting a late application, email toddprince@utah.gov. A $25 late application fee applies. For full event terms and conditions, click here. This is a rain or shine event. Fill out an application to register before March 15. Accepted artists will be notified via email of their acceptance no later than March 22, and booth fees will be due no later than May 3. Booth fees not paid by that date may forfeit the booth space and/or incur a $25 late fee. No booth fee refunds will be granted after June 1, 2019. Period dress is encouraged to create a period shopping experience for visitors. 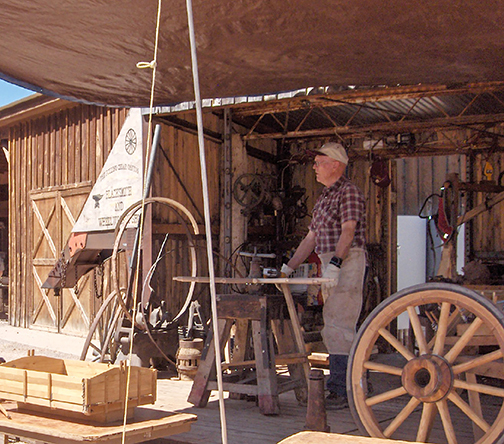 A mix of traditional frontier skills and hands-on activities round out the folklife festival. Featured Performers Include: Common Ground, Mountain Top Sound, Jereylee, John Stone Trio, Washburn Family Bluegrass Band, Karyn Whittemore, and more. Over 30 artists from Utah, Arizona and Nevada will be represented, offering an exceptional hand-crafted shopping experience for all. Take advantage of the chance to browse one-of-a-kind gifts, stop to listen to music from our talented performers, grab some exceptional food, and stroll through the Homestead to experience traditional crafts and activities of the American frontier. An experience for the entire family to enjoy. Best of all, it’s free admission! Check back for more information as the Frontier Folk Festival approaches! Check out photos from past Folklife Festivals below!